Taiwanese electronics company HTC on Thursday launched seven new smartphones in India, including its flagship and its variant – the HTC 10 and HTC 10 Lifestyle. It also launched the HTC One X9, the Desire 628 Dual SIM, Desire 630, Desire 825, and Desire 830. The HTC 10 Lifestyle, Desire 630, and Desire 830 prices have not been provided yet, though the Desire 630 is said to have a June 14 availability. As for the others, The HTC 10 (Carbon Grey, Topaz Gold) has been priced at Rs. 52,990, the One X9 (Carbon Grey, Topaz Gold) has been priced at 25,990, the Desire 628 Dual SIM (Cobalt White, Sunset Blue) at Rs. 13,990, and Desire 825 (Golden Graphite, Sparkle White) at Rs. 18,990. All four smartphones with prices also have a June availability. After much controversy surrounding which variant of its flagship would be brought to India, HTC has decided to bring both smartphones to the country. The HTC 10 and HTC 10 Lifestyle share the same specifications for the most part, though the few differences are significant. The HTC 10 is powered by a Snapdragon 820 SoC, while the HTC 10 Lifestyle is powered by a Snapdragon 652 SoC. The HTC 10 has been launched in its 4GB of RAM and 32GB of inbuilt storage variant, while the 4GB of RAM/ 64GB of storage variant has not been brought to India. The HTC 10 Lifestyle only features a 3GB of RAM/ 32GB inbuilt storage variant. The HTC 10 Lifestyle also bears a sapphire lens for the rear camera in addition. Both smartphones support Nano-SIM cards, run Android 6.0 Marshmallow with HTC Sense UI, and bear BoomSound stereo speakers. 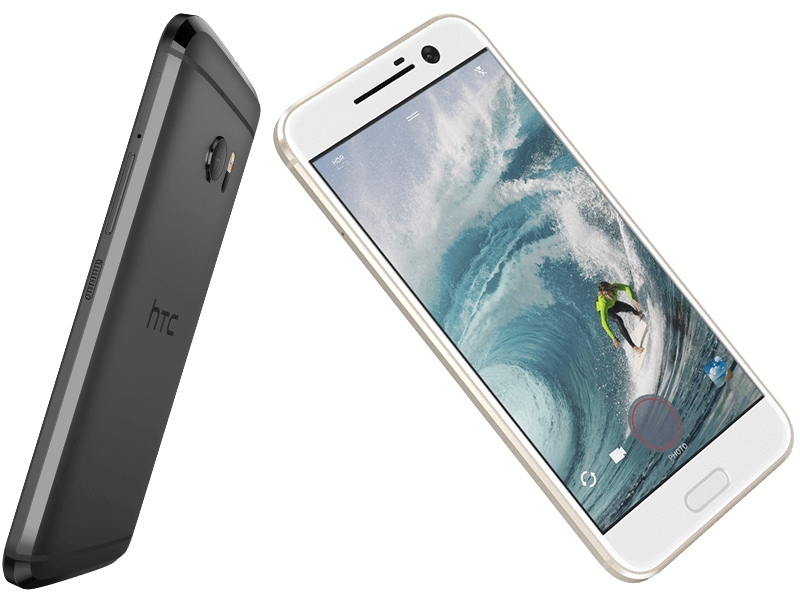 Other common specifications of HTC 10 and HTC 10 Lifestyle are the 5.2-inch Quad HD (1440×2560 pixels) Super LCD 5 display with a pixel density of 564ppi and curved edge Gorilla Glass; 12-UltraPixel laser autofocus camera with an f/1.8 aperture, dual tone LED flash, BSI sensor and optical image stabilisation (OIS); a 5-megapixel front-facing camera with autofocus and optical image stabilisation (OIS); Bluetooth 4.2, NFC, DLNA, GPRS/ EDGE, 3G, and 4G connectivity options, and a 3000mAh battery. As for the HTC One X9, it was first unveiled in December, features a 5.5-inch full-HD display, alongside a MediaTek Helio X10 SoC, 3GB of RAM, a 13-megapixel rear camera, a 5-megapixel front-facing camera, and a 3000mAh battery. The HTC Desire 628 Dual SIM on the other hand was launched earlier this month, and features a 5-inch HD display, a 1.3GHz octa-core SoC, 3GB of RAM, a 13-megapixel rear camera, a 5-megapixel front-facing camera, and a 2200mAh battery. The HTC Desire 630 was launched at MWC this year, and bears a 5-inch HD display, a Snapdragon 400 SoC, 2GB of RAM, a 13-megapixel rear camera, a 5-megapixel front camera, and a 2200mAh battery. The HTC Desire 825 was launched alongside the Desire 630 at MWC 2016, and bears only a few differences – a bigger 5.5-inch HD display, and a 2700mAh battery. The HTC Desire 830 was launched in Taiwan earlier this month. It features a 5.5-inch full-HD display, a MediaTek Helio X10 SoC, and 3GB of RAM. It bears a 13-megapixel rear camera with OIS, and a 4-UltraPixel front camera. The smartphone is powered by a 2800mAh battery.